In the game show Jeopardy, the answers are given first then contestants provide the questions. Digital marketing can be like that. Often times we provide the answer before we know the question. For example, if the answer is “Facebook”, the question can sometimes be incorrectly expressed as, “What channel can I use to share lots of unplanned content and off-brand messaging to an audience I haven’t defined and then feel good about it because it’s ‘free’”. An answer Alex Trebek may accept might be, “What channel could be leveraged as part of a planned brand strategy providing useful content and outreach to my targeted audience?” The difference is that, unlike Jeopardy, the question “what is digital marketing?” doesn’t have just one answer. As online marketing and advertising has evolved, so has the language that describes it. Terms like SEO and SEM can mean different things to different people. Some marketers use SEM (search engine marketing) to encompass any search engine marketing – organic or paid – and some see it as paid efforts only. Some marketers see SEO (search engine optimization) more as search experience optimization because the searching process is no longer limited just to engines; it’s inclusive of social, video and other platforms. People use search and non-search engine sites to initiate search queries at any point in the marketing funnel from discovery to consideration to conversion. These descriptions of digital marketing from just 10 job listings perfectly illustrate the range of skills and experience needed to be considered a “digital strategist”. According to the Digital Marketing Institute, Digital Marketing is the use of digital channels to promote or market products and services to consumers and businesses. 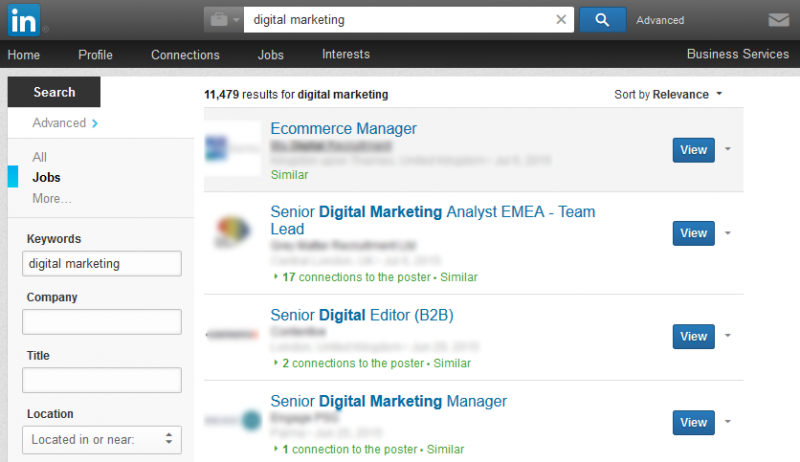 According to Wikipedia, digital marketing includes Internet marketing techniques, such as search engine optimization (SEO), search engine marketing (SEM) and social community management, paid social advertising (which continues to be how brands can reach their audience in social since organic reach is very limited in most social platforms. It also extends to non-Internet channels that provide digital media, such as mobile phones (both SMS and MMS), callback, social media marketing, display advertising, and any other form of digital media or digital channel. The rapid evolution of digital media has created new opportunities and avenues for advertising and marketing. Fueled by the proliferation of devices to access digital media, this has led to the exponential growth of digital advertising. 1. Segmentation: more focus has been placed on segmentation within digital marketing, in order to target specific markets in both business to business and business to consumer sectors. 2. Influencer Marketing: Important nodes are identified within related communities, known as influencers. This is becoming an important concept in digital targeting. It is possible to reach influencers via paid advertising, such as Facebook Advertising or Google Adwords campaigns, or through sophisticated sCRM (social customer relationship management) software, such as SAP C4C, Microsoft Dynamics, Sage CRM and Salesforce CRM. Many universities now focus, at Masters level, on engagement strategies for influencers. 3. Online Behavioural Advertising: Online Behavioural Advertising refers to the practice of collecting information about a user’s online activity over time, “on a particular device and across different, unrelated websites, in order to deliver advertisements tailored to that user’s interests and preferences”. 4. Collaborative Environment: A collaborative environment can be set up between the organization, the technology service provider,and the digital agencies to optimize effort, resource sharing, reusability and communications. Rand Fishkin explains that breadth breeds respect and depth provides mastery. He posits that understanding that mastery of one or two disciplines and breadth across multiple disciplines is a more likely expectation of an individual’s skills that they bring to the digital marketing team. Overlapping knowledge and respect amongst team members who have depth in different areas of digital marketing breeds creativity and collaboration to support the demands of digital marketing. With so many skills, processes, channels and tools available to digital marketers, a methodology or framework for digital marketing helps brands and organizations begin with the framework and gain clarity on what they are trying to achieve. The framework for digital marketing here combines elements from two methodologies; Ian Lurie’s “Marketing Stack” and CMI’s “Content Marketing Framework”. Both are effective and inclusive of the structure needed to execute digital marketing and can be tailored depending on business need and resources. A digital marketing plan includes goals, strategies and tactics as does a traditional marketing plan. Discovery and brand immersion are important efforts in planning to assure understanding past learning and implications of the brand strategy. The deliverables may include a digital marketing roadmap or plan. Why it’s important: All marketing teams can better align and integrate if there’s an overarching digital marketing strategy or plan that aims to achieve business goals and the discovery process has uncovered learning that allows the digital team to avoid recreating the wheel. Audience engagement starts with persona and audience segmentation and can also include influencer identification & outreach. Learn more in Momentology’s Influence Now Guide. Roles may include brand strategist, digital strategist, market research specialist, customer experience manager, UX specialist or a persona creation vendor. Paid social strategists can help us find look alike audiences in Facebook as we move from identification of current to potential customers. Deliverables may include persona segmentation or a persona project guide. Why it’s important: It’s never been easier to leverage insights into personas due to the wealth of information and data in social platforms such as Facebook and LinkedIn. Digital advertising spend and other efforts will only be as effective of the targeting and understanding of brand personas or target markets. Editorial skills and content asset creation are imperative to the success of the content and storytelling elements of the digital marketing strategy. Without exceptional content that is read, shared and linked to, a channel strategy is irrelevant. Roles may include an editor, content developers, video producers or brand planners. 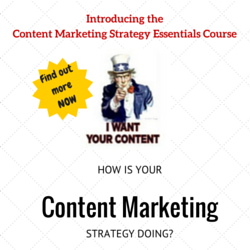 Deliverables may include content audit, content pillars, editorial calendars and content assets. Why it’s important: Executing in multiple channels without a content or communications strategy means the customer journey will be disjointed and it will be more difficult to achieve goals without specific campaigns created to achieve those goals. A channel strategy doesn’t ask, “should we have a presence on Facebook/Tumblr/Twitter?”, it asks “Do our customers or potential customers spend time in that channel?” Whether the channel is Search, Inbound Marketing, Paid (PPC, display, retargeting & remarketing), PR, Social, Paid Social, or CRM, a good channel strategy takes into consideration a number of elements including dedicated resources, skills and timing. Roles may include digital advertising strategist, inbound marketer, PPC/Paid Social specialist, social marketer, community managers, PR specialists, SEO manager, email marketing specialists or even project managers. Deliverables may include channel integration plan and a digital advertising/paid calendar. Why it’s important: The content strategy comes first and the channel comes next. Facebook and Instagram aren’t marketing strategies, they’re platforms on which we execute a content strategy. These explorations help illustrate what is working best for our customers and to dedicate resources and budget accordingly. According to AdWeek’s post “The State of Digital Marketing” direct, referral and search are the top digital channels. Understanding your channel metrics helps guide decision making. Getting customers to share and engage is the holy grail of digital marketing. Brands understand that only pushing the marketing message won’t be effective, and may even be detrimental. People leverage digital to help them answer questions, solve problems and improve their lives. When they talk about and share that journey, how brands create conversation can dictate not only digital marketing but brand perception. Roles may include community managers, social marketers or digital strategists. Deliverable may include conversation calendars and an influencer identification and outreach plan. Why it’s important: Though conversation happens more organically than planned or push marketing, it’s still imperative to outline strategy for engagement, including influencer identification & outreach. It’s important that digital teams have a resource to manage key operational and organizational priorities and to implement cross-team collaboration to create a strategy that supports business initiatives. As shared in the LinkedIn job descriptions, creating the digital marketing process, roles and teams can be inclusive of many skills and needs. An integral part of digital marketing comes with defining the process, tools, roles and dedicated teams. 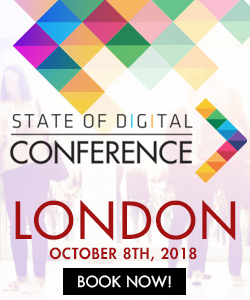 Framework, such as the one defined here (patterned after CMI’s Content Marketing Framework and the Marketing Stack), or other methodologies are created with the goal of addressing the ever-evolving and expansive digital marketing ecosystem. Roles may include digital marketing (strategist, manager, director or VP) or operations director. Deliverables may include workflow charts and a tooling features matrix to identify business problems and the tools that help provide the insight and data that helps solve those problems. Why it’s important: Processes are the vehicle by which work gets completed. Many analytics dashboards provide measurement around siloed efforts. Providing a digital dashboard that includes insight across multiple channels is a difficult task. Roles may include business intelligence specialist or analytics specialist. Deliverables may include digital marketing integrated dashboards, monthly channel reports or insights dashboards that feature metrics as well as the stories that the analysis of the data illustrates. 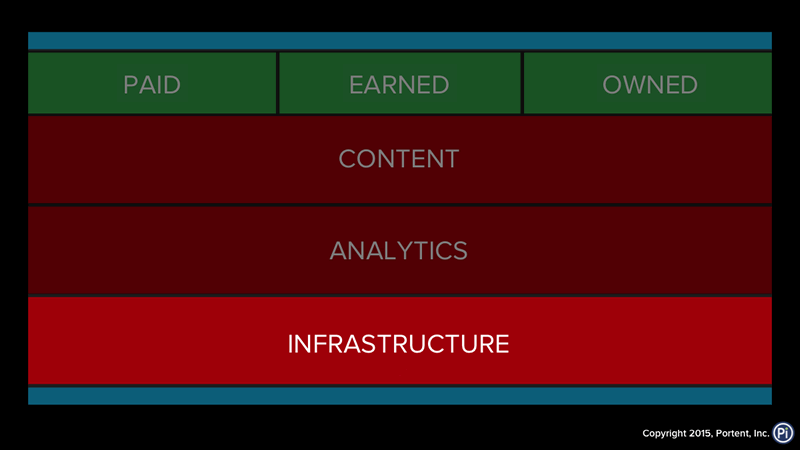 Why it’s important: In Ian Lurie’s Marketing Stack example, analytics is a foundational element as is content and infrastructure. If those elements aren’t in place to hold up the other digital marketing elements of Paid, Owned and Earned those campaigns will likely be siloed, and largely ineffective. Often times brands ignore the content and analytics elements and move directly to the Paid strategies that they know can move the revenue needle more quickly. That can be a band-aid and short-term solution but it won’t result in the best possible use of digital ad spend without the content and measurement tools in place to create iterative goal/approach/result campaigns that allow digital teams to learn as they execute. Now more than ever it’s imperative that we create and test digital marketing frameworks to find a more effective place between defining deliverables and execution schedules with the ability to pivot when the landscape changes. A digital marketing framework is a tested path to that end. The digital marketing ecosystem will continue to evolve as will the skills needed to execute in that ecosystem. Most marketers agree that the aspiration of true omni-channel marketing that’s inclusive of all marketing efforts and opportunities is, at this point, fairly elusive. That doesn’t mean we shouldn’t aspire to that dream of truly informed omni-channel customer journey or the perfectly-skilled-in-all-disciplines marketer. Maybe it means that we do what the wild west that is the internet has challenged us to do all along; test, learn and get better with every iteration. The biggest mistake we can make is waiting for all the digital marketing pieces and people to perfectly align before we make a choice and test and learn. Just like in Jeopardy, the clock is ticking and though it’s possible your response may be wrong, it’s guaranteed you’ll lose if you don’t try. How does your team define digital marketing? What digital marketing framework is your team using? If no framework exists, how would it impact your organization to adopt a framework? Lisa Williams is the Associate Director of Digital Engagement at Oregon Health & Science University and author of "When Everybody Clicks: Sustainable Digital Marketing". She is a 19-year veteran of online marketing and has been featured in Kiplinger Magazine, Glamour Magazine, Boston Globe and The Oregonian. Lisa is on the SEMpdx (Search Engine Marketing Professionals of Portland Oregon) Advisory Board. She speaks at regional, national and international conferences on the topics of digital strategy, marketing integration and leadership. Opinions are her own. Thank you for the information. Digital marketing is very important because it promotes products and services. In Australia, You need to find someone who understands how to optimise your system without resorting to Black Hat SEO practices – I tend to use http://www.internetmarketingexpertsgeelong.com.au.